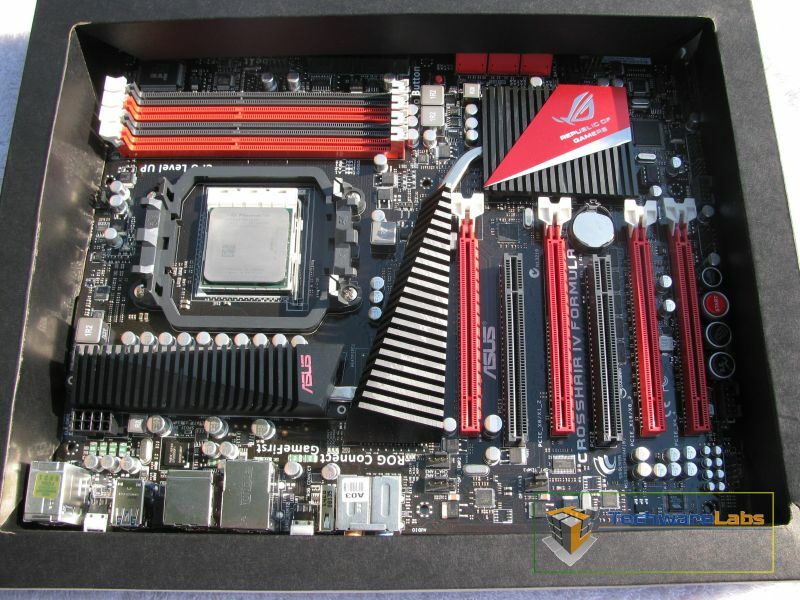 The features of the ASUS Crosshair IV Formula simply longer than any other motherboard TechwareLabs has ever listed to date. 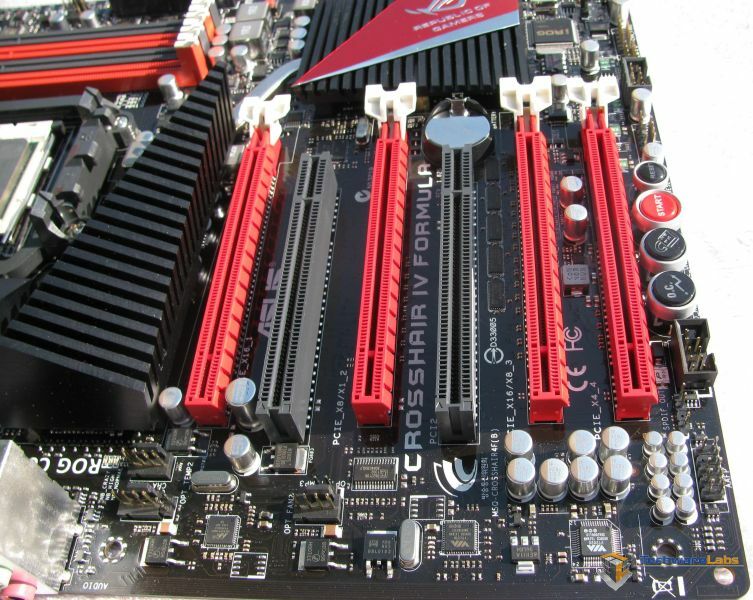 This list would take up several pages of this review to just list them all, so to spare your attention span, you can check out the features and specification for the ASUS Crosshair IV Formula on ASUS’s page here. So for those of you who want to see if the Crosshair IV Formula includes something you are specifically looking for, it very likely this board includes it. 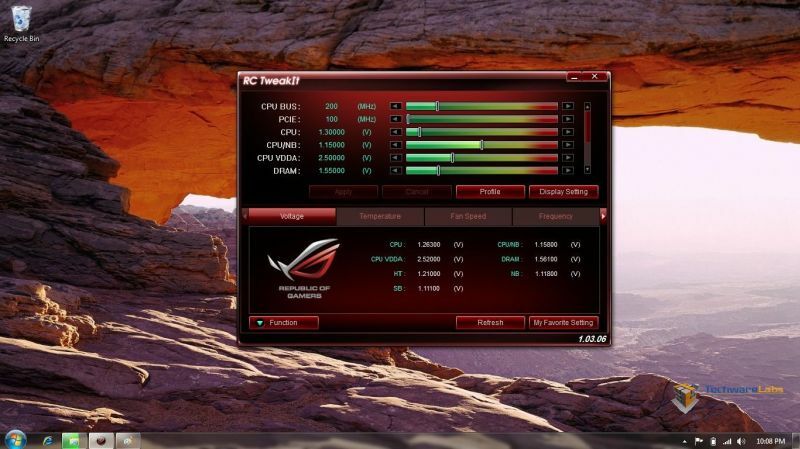 We loaded the RC TweakIT software on our HP mini and connected the USB cable to the ROG port of the crosshair IV Formula board Closer look at the RC TreakIT GUI. All these settings can be adjusted on the fly. ROG connect is very simple and addictive for those of us with time our hands tweaking for hours. 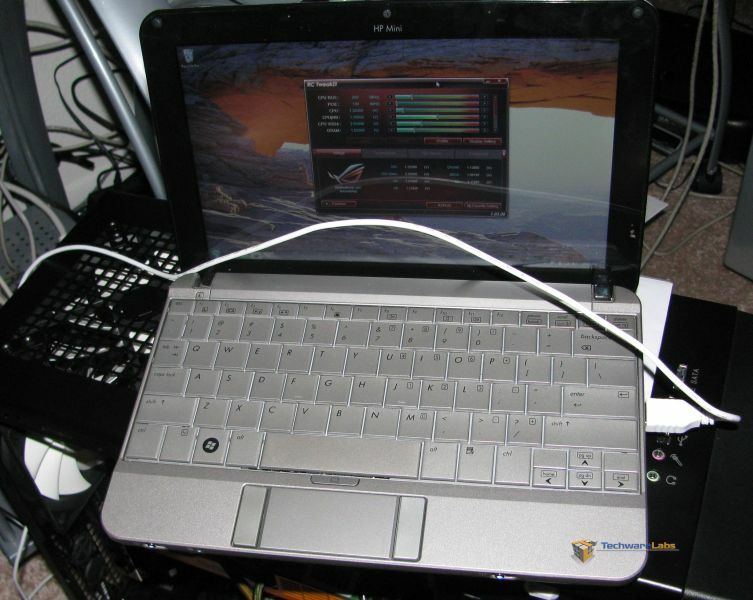 Since you can make adjustments to the Crosshair IV Formula via your notebook/netbook, you are able continue to adjust the settings of your system to the ends of the envelope without the risk of losing your settings if the system goes into a failed state. The Crosshair IV Formula came in a not so usual shipping box. The box which held the motherboard was designed to show off the board through a window which is revealed when you unclasp the one side of the box. This little extra give you the ability to take a real good look at the board before you purchase or un-box the board. This feature is actually saving you the possible grief of opening the board after you get it home to find out it is damaged during shipping etc. Also for the price you will pay for the board this gives you insight into what kind of quality of construction the board is. The board displayed through a clear plastic window, which is on top of the box which contains the SATA cables, manual and q-Shield. The extra bits included the q-shield, SATA cables ROG USB cable, manual, CrossFire Cable (jumper). 2-port USB 2.0 and 1-eSATA port. The Box was quite a display case which held the board to the bottom of the box and the high walls of the box protected the multiple heatsinks from damage during shipping. 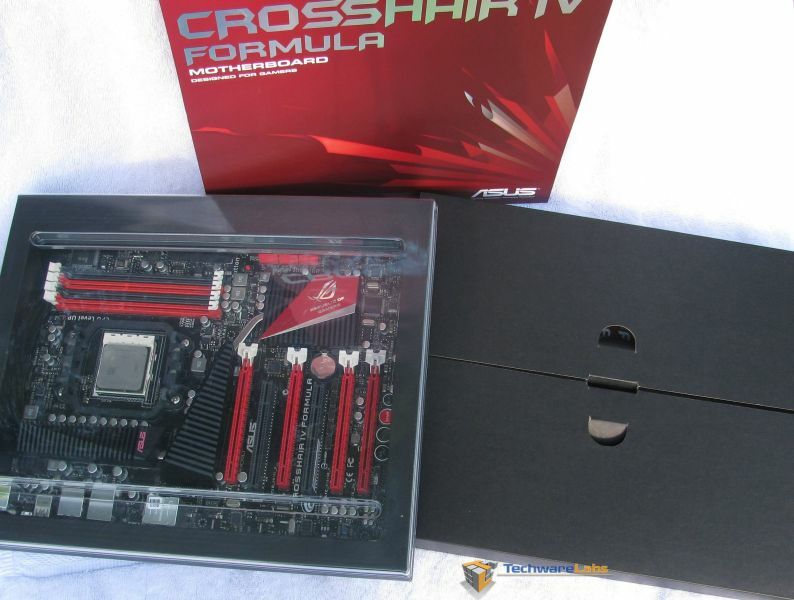 The Crosshair IV Formula comes with four PCI Express 2.0 X 16 and two PCI slots which are CrossfireX capable. An awesome board with an amazing laundry list of features for ~$230. I need one!